Our Floating Mini Cart is an alternative solution to Yahoo! Stores's built in Floating Cart. The Yahoo! version works under many circumstances, however, it still has some outstanding issues that may cause it not to work correctly - or at all in some situations. For some of these outstanding issues, read our blog post on this topic. 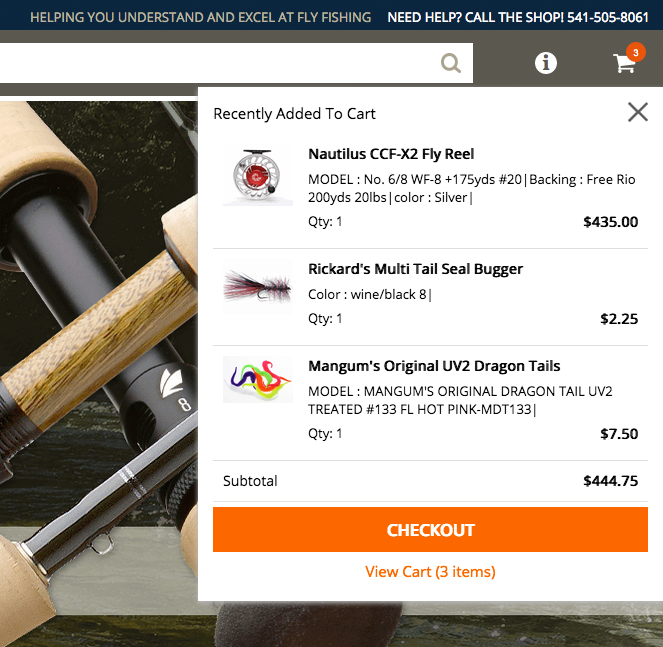 The Floating Mini Cart allows you to add products to the cart without leaving the item or section page. You can also remove items or modify quantities in the cart without having to actually visit the shopping cart page. Our Floating Cart solution does not have any of the issues the standard Yahoo! version does and it is also fully customizable, to a degree not possible with the Yahoo version.